Galatians was written early in his ministry and his declaration was “I no longer live, I died. Christ lives His life in me, as me and through me. And this (new) life – Christ living in me, as me and through me – is lived in (in the condition or state) of His faith.” Paul tells Timothy that this Faith says we co-died and we co-live. That’s the heart of the Gospel! Paul understood that at the beginning of his ministry and we see that at the end of his ministry that revelation was all the stronger… it had become his Gospel. The good news of the logic of God…. We died with Him and live with Him… was still proving faithful in Paul’s life. We talk a lot today about being faithful in our walk with God… but the truth is God is faithful in our walk. Paul was right… the logic of God is faithful – we died with Him and this new resurrection life is His life in us, as us and through us. Paul showed us that the logic of God didn’t start at the Cross. It wasn’t a plan B to rescue us because we had made a mess of our lives. His logic started before time began. Ephesians 1:4-5 says that “He chose us in Him before the foundation of the world to be holy and blameless before Him in love, (5) having predestined us for divine adoption as sons through Jesus Christ, to Himself, according to the good pleasure of His will.” What a beautiful scripture Designed in Him, by Him… the Master Architect. (1) We were chosen! Personally selected, hand-picked by Him. The Greek word is eklego which is two words, ek and lego. Ek means out from and lego meaning speaking to a conclusion. It shows our source. We are His offspring… coming from Him. Lego speaks of a highly deliberate choice, a heart choice. We were no accident… no plan B! We were specifically chosen by Him and spoken into existence. (2) He made us holy. Pure inside and out, uncontaminated, without spot or blemish, not mixed with guilt or condemnation. This is who we were in Him before we were ever created. This was our design… our original blueprint. Not designed with a sin nature, but rather with His nature! Later in chapter 4 verse 24, Paul tells us that we are to put on this new man created in the likeness of God in righteousness and holiness of the truth. Of the truth in Greek is reality. We are to walk in the reality of our ORIGINAL design – righteous and holy! (3) He made us blameless. Without fault. No disgrace. My favorite definition… without flaw. Flawless! He designed us and spoke us forth as flawless. Blameless also comes from a root word meaning not rejected… to not find fault. (4) We are sons. Predestined to be sons. Predestined means to establish boundaries. To pre-determine limits. The root of the word is a frontier. I love that! He has enclosed us in sonship. Confined us in sonship! Separated from any other position in His eyes. No matter how far we would roam, our boundaries would always be sonship…. We were ALWAYS sons! We are and always have been chosen sons, pure (uncontaminated by guilt or condemnation) sons, flawless sons with no disgrace or fault. Simply His SONS! This is the love dream of God… His original blueprint for mankind. Here we are given a glimpse of God’s thoughts and dreams before time began…. Before the fall of the world. This was His Grace plan! Before He ever breathed life into Adam, we (all His sons) were alive in Him! In His image and likeness… chosen, pure, blameless sons BEFORE Him in love. I love the way the Mirror Bible translates verse 4b, “He always knew in His love that He would present us AGAIN face to face with Him in blameless innocence.” Abba has never looked at mankind through the lens of the fall. He has always seen His SONS through the lens of face to face! And in the fullness of time He would reconcile us once AGAIN to Him. All of this He did in love and according to His good pleasure! Romans 8 echoes the same thing. We were foreknown by Abba, predestined to be conformed to the image of His Son (predestined as sons like Jesus), called us, justified us and glorified us. Romans 8:29-30 in the Mirror Bible says it well, “He pre-designed and engineered us from the start to be jointly fashioned in the same mold and image of his son according to the exact blueprint of his thought. We see the original and intended pattern of our lives preserved in his Son. He is the firstborn from the same womb that reveals our genesis. He confirms that we are the invention of God. (30) Jesus reveals that we pre-existed in God; He defines us. He justified us and also glorified us. He redeemed our innocence and restored the glory we lost in Adam. He defines us (predestined)! The Master Architect drew up a detailed design. And He called us… by His Name! He called us His very own. He justified us. 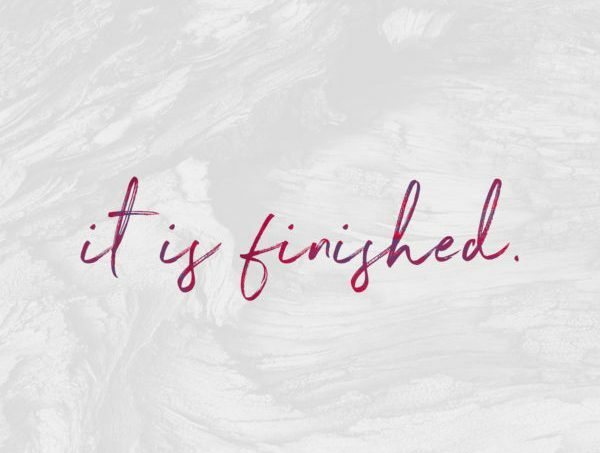 Not just forgiving our sins but completely removing sin so that we can stand before Him spotless, sinless, having never sinned.…just like Jesus! This new life has no past… therefore, we have no past sin. He glorified us. The same glory He has was given to us. According to Jesus’ in John 17 this glory was given to us for the purpose that we exist (not may be or might be, like most translations say)… but that we BE (I am, exist) one as Jesus and the Father are one. His glory was given to us for the purpose of oneness. His very essence in us… the fullness of the Godhead in us and us in them! A seamless oneness… face to face with the Father through Jesus in the Spirit. All of this…. Chosen, pure, flawless, without fault, sinless, judged innocent, sons, glorified (filled with the fullness of the Godhead.,. made in His image and after His likeness. All of this describes who we have ALWAYS been from before time began in the Father’s opinion. All of this Paul understood. He had become intimately acquainted with all of this and was able to call this good news at the end of his life, MY good news! Declaring, “MY good news has been faithful in my life!” His Gospel of Grace was MORE THAN sufficient in Paul’s life. Sufficient in Greek means to raise a barrier. Grace is the barrier in our life. God was telling Paul, “My grace is all you need and you ALREADY have that.” Paul was asking God to do something that God had already made him well able to do. Moses did a similar thing when he asked God for help when the Egyptians were closing in on them. God said, “Moses why are you crying out to Me? I’ve given you what is needed. Use your staff.” Paul just needed to remember what he had been given. To remember the Grace plan from before time began. To recall the barrier… or the boundary of his life. Grace reveals our sonship. We are reigning sons, made a “little lower” than God, in His image and likeness…. Crowned with glory and honor. Crowned in Psalm 8:5 is an imperfect verb (it has the prefix “tav”) and reads will crown. It is an action not yet complete. Man had forgotten who they were. Genesis 1:26 reveals that man was crowned (reigned – given dominion) in the garden but after the fall they forgot they were reigning sons. And when man fell and changed how he responded to God, creation no longer responded to man… “the ground no longer yielded.” Man lost dominion and began to forget his origin – BUT God did not! Hebrews 2 tells us “BUT we see Jesus!” He restored (revealed and gave back) to us the authority we lost. Hebrews 2 quotes Psalm 8 and puts the word crowned in the aorist indicative tense…. A past tense fact! I love the past tenses of Scripture. Done deal! Jesus restored to us once again (what was always ours) dominion (reigning). We are crowned… adorned as victors… with glory and honor and with dominion. Ruling over the works of His hands with ALL things in subjection (submitted; in obedience) under our feet! And just in case we didn’t understand the vastness of that dominion, the writer of Hebrews adds “He left NOTHING un-subject (not subject to rule; disobedient) to him.” Nothing in this verse is a strong word. It means NO, NOT ONE THING! Leaving no exceptions… ALL things is ALL things. When I did my last essay, a good friend of ours was in the hospital with stomach cancer. We prayed for him and fully expected him to recover. He died a few days later. Since then, Genesis 1:28 has been on my mind. God blessed mankind and said subdue and have dominion. We reign as sons and our lives shouldn’t be subject to sin, sickness, disease and poverty. This new life in Christ is resurrection life. This resurrection life quickens our physical bodies. We are seated with Him in heavenly places. Ephesians 1 says He is seated far above all rule and authority, power and dominion and every name that is named, not only in this age but the one to come. And then it says we are His body, and the fullness of Him who fills all in all. The fullness of Him is in us… the fullness of who He is… a reigning Son! We are to bring into subjection (subdue) ALL things (Ps 8; Heb 2) and reign (dominion). As a son, made in His image and likeness, we reign in life and ALL things are subject to us. What are the all things? Anything Jesus defeated and stripped of power is in subjection to us… under our feet. Sickness, disease, poverty, lack, fear, etc. In Christ we have peace with God… we have wholeness… nothing missing, nothing broken in our lives, whole in every area (spiritual, physical, financial, socially, and mentally). Cancer is defeated, therefore cancer is under my feet because I am a reigning son. Sin was stripped of all power, therefore sin is under my feet. My state of California has also had a lot of fires this past month. Fires that are displacing people and destroying homes and lives. Psalm 8 also tells us we have dominion over all the works of His hands…. Over all creation. And creation is waiting for the manifestation (our awakening) of the sons of God. Jesus walked as a reigning son. He commanded the storm to stop. Joshua commanded the sun to stand still. Elijah withheld rain and released rain with his words. In fact, he told Ahab “there shall neither be rain or dew according to MY WORD. Word in this verse is dabar which means to command; to speak things into order. Joshua used the same word. We as reigning sons are able to command fires to stop and release rain. We are a speaking spirit just like our Daddy. The first thing Adam experienced was God’s grace… His blessing. His grace enables us to reign (Romans 5:17). Another meaning of chen (grace) is to encamp, or rest, to dwell. Grace rests in us, encamps in us… it is His life (the Spirit of Grace) in us, as us and through us. Jesus’ death was both the judgment and condemnation of the old man… the man identified in fallen Adam. In Christ we have God’s final word about man and the only word that will endure… man stands blameless, innocent and accepted – a reigning son in the image and likeness of God. This was the understanding Paul had of Grace… of the Grace that was all sufficient. The understanding that he was a son who co-died, were co-buried, co-resurrected, co-ascended and are co-seated with Christ. This was his Gospel. It pleased the Father to reveal His Son in Him. And as he saw the Son and continued to behold Him, he saw himself. And Saul became Paul. And the One who is Grace was more than enough in him at every junction of his life. This Gospel was not a message that Paul heard causing him to say a sinner’s prayer and serve God. NO! This Gospel of Grace became Paul’s Gospel… it was his life. It revealed that he was dead to sin and alive to God in Christ…. face to face with the Father in Christ. It revealed who he always had been in the Father’s estimation… a reigning son in Christ.